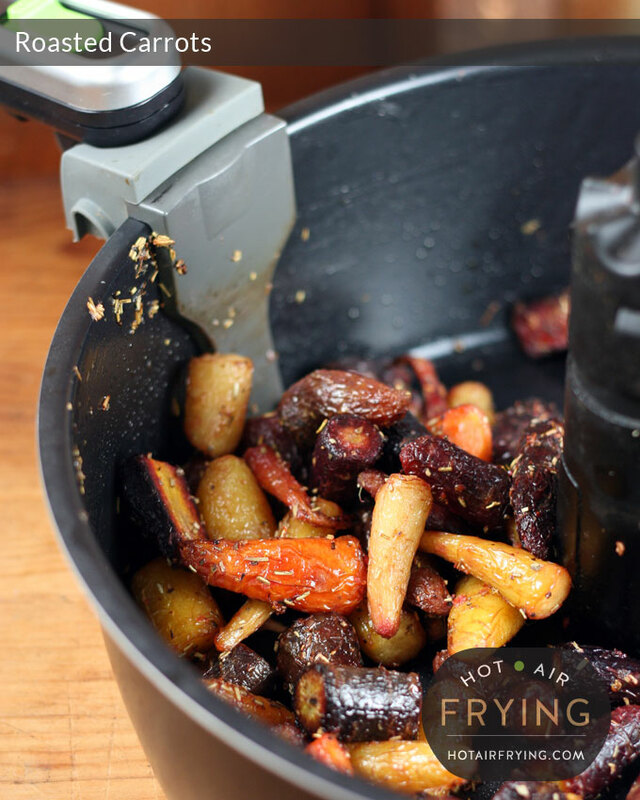 This is a delicious and easy way to roast carrots as a side dish with a paddle-type hot air fryer. 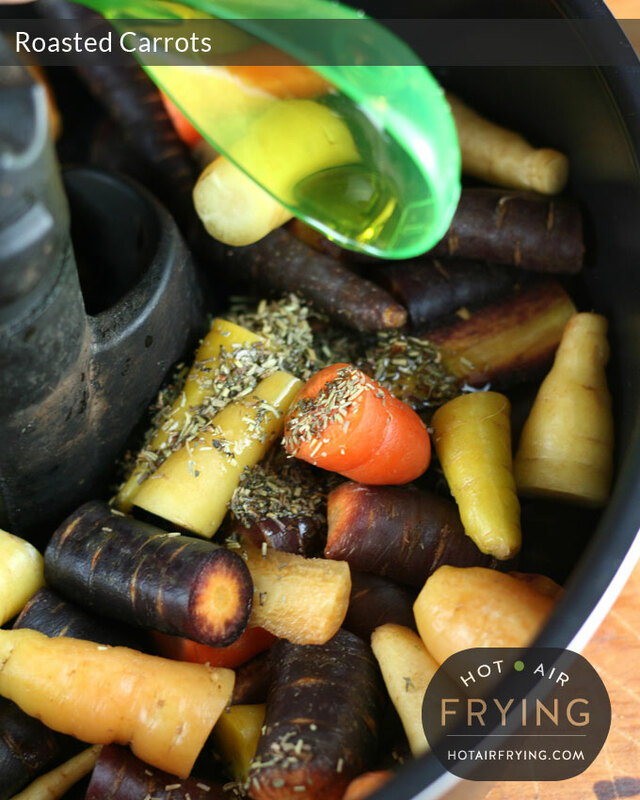 Boiled carrots just won’t cut it after this recipe. You can make this a day ahead even and reheat in microwave. Makes 3 cups / 400 g / 14 oz in total. 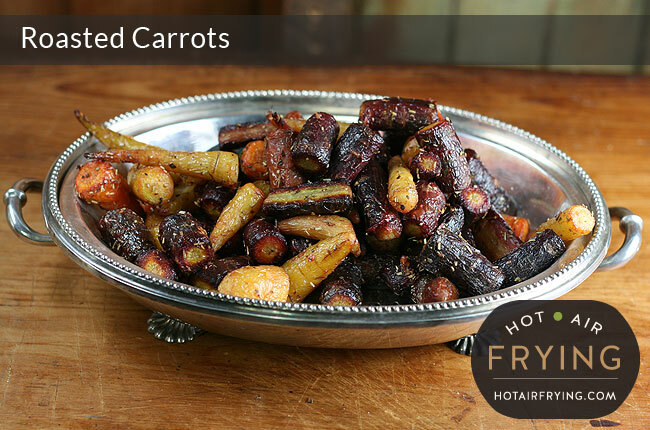 An interesting way to present carrots as a tasty side vegetable with a light, healthy glaze. 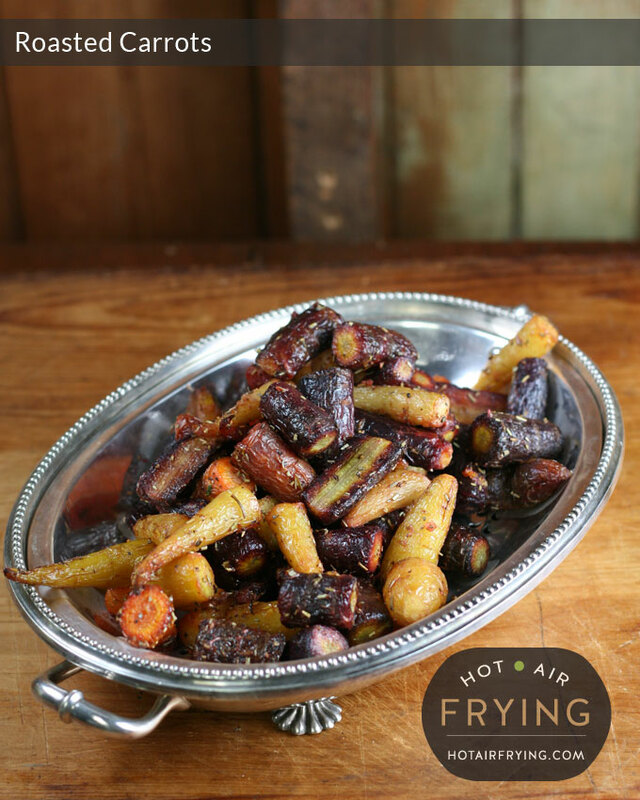 For paddle-type hot air fryers. 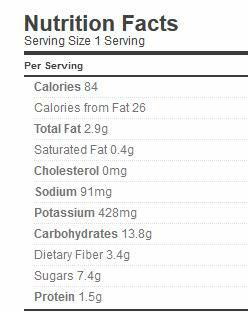 Servings 4 . 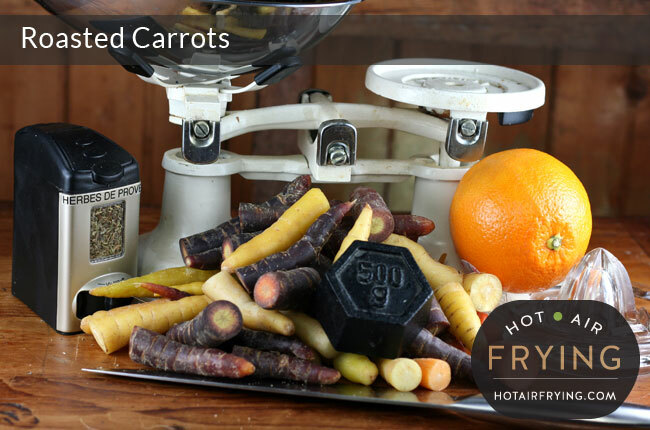 Makes 3 cups / 400 g.
Wash and chunk the carrots; do not peel. Add the orange juice, roast for a final 5 minutes. 4 tablespoons of orange juice is the juice of half a medium-sized orange. Put oil and herbs in a large bowl. Toss the carrots in it. Put in machine. Roast for 20 minutes at 160 C / 320 F. Toss. Raise temperature to 180 C / 350 F. Roast for another 6 minutes. Take out. Put in large bowl with the orange juice, toss. Return to machine for a final 6 minutes of roasting. You honestly won’t want / need more than two teaspoons of oil; I’m not just trying to be cheap with it. I used heritage carrots, but you can use any carrots. If you use baby carrots, you can probably just chuck them into the pan as they are, with no further chopping. Use whatever herb mixture you want. Instead of the orange juice, you could use lemon juice, or just omit. 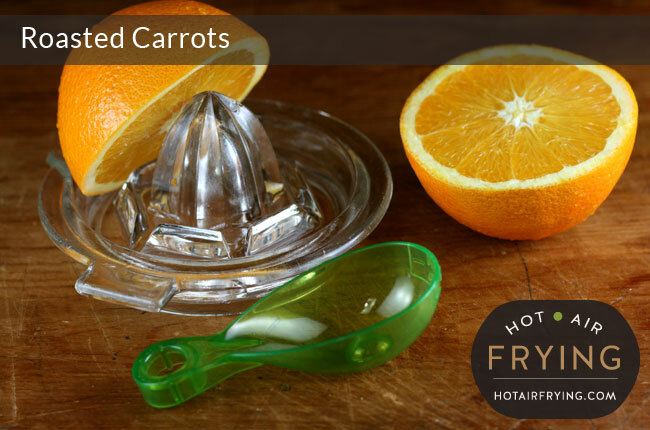 The orange juice freshens the taste and glazes the carrots, but you can omit. After just 25 minutes, these are fork-tender and toothsome with a roasted, slightly sweet flavour.